Bobbi is a dedicated volunteer for Fall and Spring school sessions, Summers with Camp Fairlee, and the Winter program. She supports KART through the many barn hours, helps with fundraising, and played a major role recruiting sponsors and managing the KART Antiques Show booth. She quickly became a board member and currently serves as corresponding secretary. She’s always the 1st to volunteer. KART is fortunate to have Bobbi as part of its family. 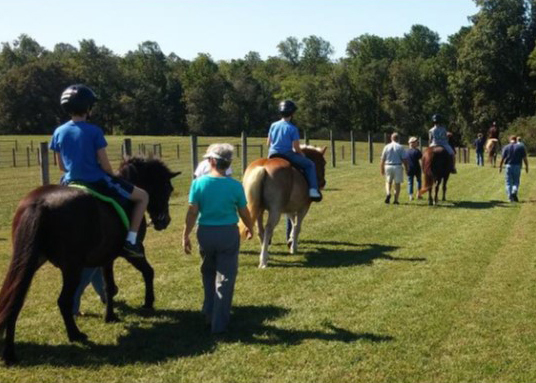 As the backbone of our program, our volunteers groom and tack the horses, lead the horses in the lessons, side walk next to the riders for safety, encourage the riders, fit riders with helmets, and assist in the classroom activities that support the riding lesson. 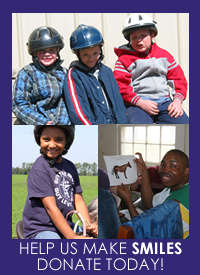 Riding therapy sessions are held at Worthmore Equestrian Center on Wednesdays and Thursdays, 11:30 am-1:30 pm. 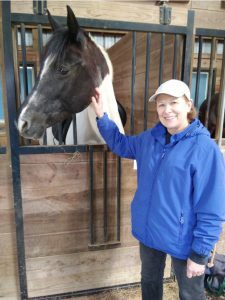 Not a horse person, but want to volunteer? Away from the barn, KART is always looking for people to help manage fundraising events and community outreach to help pay for the programs.